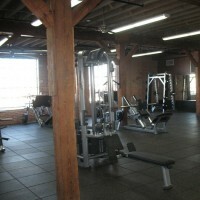 The Southern Bagging Company Building in Norfolk, VA was renovated for use as a commercial gym using both Virginia and Federal tax credits. 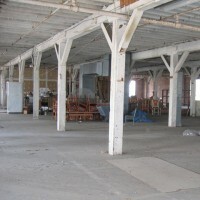 The 45,000 square foot warehouse was individually listed on the Virginia Landmarks Register and National Register of Historic Places for its association with Norfolk’s industrial heritage. The building, constructed in 1918, was originally used for the manufacture and bagging of cotton products; most recently used as a restaurant, it was vacant but retained much of its industrial character. As a result of the rehabilitation project, the warehouse was updated with modern systems, stairs and an elevator while retaining the historic heavy post and beam framing and other character defining industrial features within its three million dollar construction budget. As the tax credit consultant, CPG was responsible for coordinating the needs of the corporate gym owner with the requirements of the historic tax credit process in order to ensure that the character of the building was retained during the course of the rehabilitation. Through continuous coordination with the architect and contractor, the project was completed on time and within the budget, and was recognized for its success as the only featured historic rehabilitation tax credit project in the November 2008 issue of Heritage News, an online publication of the National Park Service.